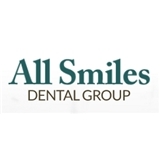 All Smiles Dental (Long Beach) - Book Appointment Online! Welcome to All Smiles Dental, office of Newport Beach and Long Beach dentist, Dr. Kenny Abedini & Dr. Gary Trombatore. We are glad you have chosen us for your oral health needs and hope that every encounter with our office and staff exceeds your expectations. We know our patients have a choice in Newport Beach and Long Beach dentists, so we go out of our way to deliver the level of dental care and compassion we would want for our own families.